LET THERE BE LIGHT! Look bright eyed and bushy tailed, no matter how you feel! Our waterproof Eye Brightener pencils are pigment rich and glide on smoothly to quickly correct inner eye area darkness. Eye Brighteners can also be used on the inner moist rim for a wide eyed look. Stroke it on under the brow bone to make eyes appear larger and to define the brow line. Available in Matte or Pearl. Sharpener included. 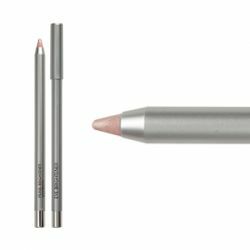 The sharpener that comes with this pencil is designed specifically for the Eye Brightener Pencils and Luxury Eyeliners and must be used to prevent cracking or breaking of the lead during sharpening!